Designed to meet the demanding needs of commercial and agricultural submersible sewage applications, where the solid handling is very crucial. 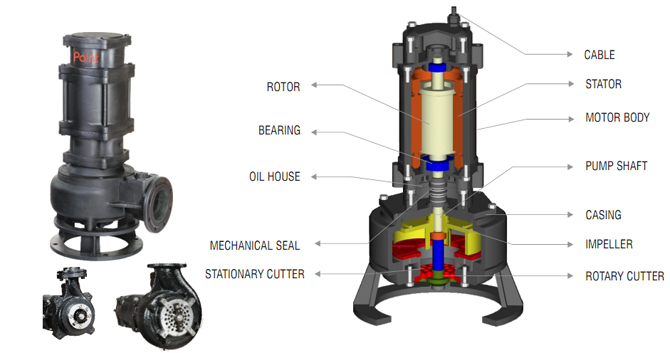 The pump is fixed with a superior grinding system made of hardened SS material for shearing solids into small particles, prior to being passed to discharge by the impeller under high pressure. 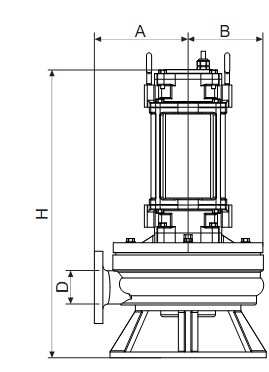 The pump is designed for Grey water pumping, sump emptying, septic effluent, pumping of waste water with soft solid in suspension, industrial sewage treatment, mining, power plants, vegetable wastes, thin pieces of plastic, cloth materials or wherever the slurry solids have a tendency to accumulate.